Nathuli or Nath is referred to a mammoth size nose ring crafted in pure gold. It is mainly adorned by the Pahari women of Uttarakhand hailing from different regions such as Garhwal, Kumaon, and Jaunsar. 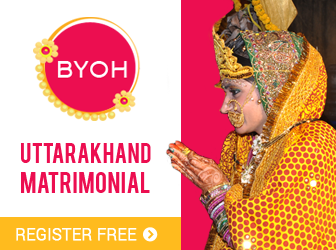 Though naths worn in Garhwal and Kumaon are different but they look equally charming on the bride….